Do you ever wonder why Christians have to deal with so much stuff from people? Why does it seem the rights of everyone else are important all the while our rights are trying to be diminished by opposing forces? Why does it seem that we are singled out to be somebody to mess with when the cut-ups of this world get by on a free pass. Things are set in motion like that to try to discourage us from our walk with Christ; our belief. The fact of the matter is our lives are convicting to those who fight against God and His plan for humanity. God, through His Word, tells of a holy requirement He desires to see played out in the lives of each and every individual. Those who seek after the flesh and revel in carnality and sin don’t want the same desires as He. Rather, they fight vehemently against it and anything that resembles it (i.e. Christians). 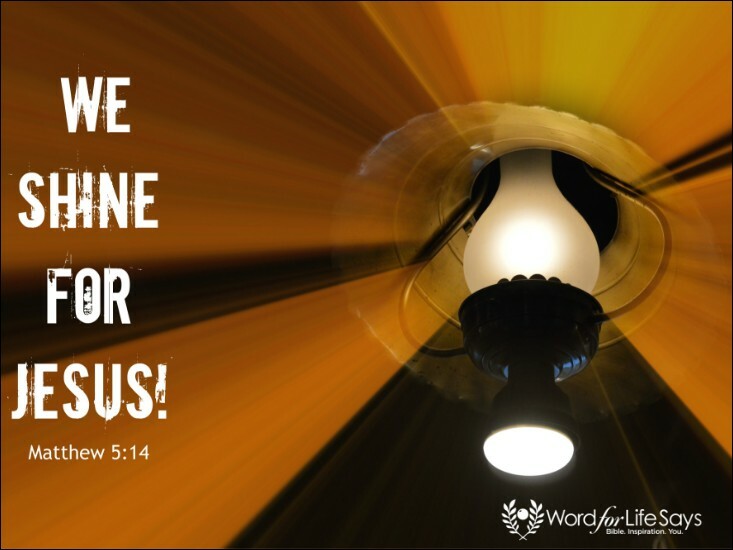 Once Jesus taught, “Ye are the light of the world. A city that is set on an hill cannot be hid,” Matthew 5:14. You shine for Him. You magnify His brightness and glory in the midst of degradation and sin. You are a beacon to show people the way to this wonderful life in Him through the darkness and disparity of this world. As a Christian, you look like Him (in character), you talk like Him and that bothers those who oppose Him. In a life that has been transformed by His renewing power, it becomes a living testimony to grace, mercy, and the power of salvation working itself out in humanity. Although these wonderful things are available to all for the asking, few choose to look to Him for those wonderful gifts. They would much rather pursue the things of the flesh than that of the Spirit causing war and contentions with those who walk and talk differently then them. Nonetheless, I urge you brother and sister in Christ, keep walking the holy walk. No matter the fighting. No matter the contentions. Keep showing this world, through the life you live, what a mighty God we serve. Philippians tells us we are, “In the midst of a crooked and perverse nation, among whom ye shine as lights in the world,” (2:15). By the continual light of Christ beaming from your life, you are helping others to draw nearer to Him; you are helping others to see the hope that is available if they would but turn. The life we live may cause us discomfort at times, but the reward of having others see Christ in us is immeasurable. You and I can positively effect change in the lives of others for eternity. I think, my friends, that far outweighs the opposition we may face today. And, as we are living, let us always remember we have nothing to boast or be arrogant about. We are saved today because somebody else stood up as a light for us showing us the way; somebody else’s lives were convicting, pricking our hearts to want to know Him more. Our salvation is NEVER anything for us to glory in. We can only glory in our Savior who gave His life that we might have new life in Him. We are now vessels filled with His grace that we might positively pour into and shine in the lives of others.